This temple looks like a peaceful and serene place until you come to know about a grave tragedy happened here. 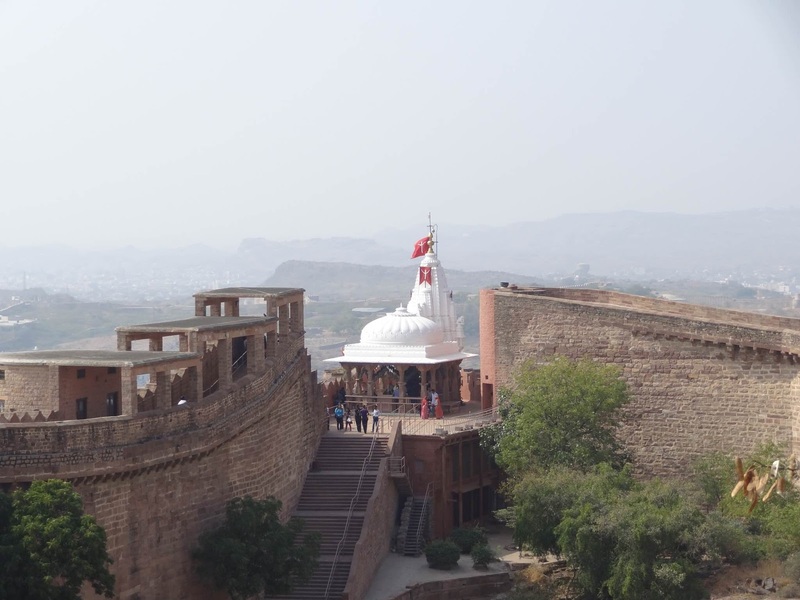 This is the temple of Chamunta Mathaji as seen from the Mehrangarh Fort in Jodhpur. Chamunta Mathaji was the family deity of the Rajput Kings and the favorite Goddess of Rao Jodha. On the fateful day of September 30th, 2008 the temple was so crowded with devotees gathered to celebrate the Navarathri festival. A panic occurred in the crowd as they allegedly heard a large explosion from the Mehrangarh fort. A stampede followed on those narrow steps resulting in the death of at least 224 people. Even more people were severely injured. When I stood near the fort looking at the Chamunta Mathaji temple in 2015, it looked like a pristine place. However once I knew about the tragedy, I couldn't look at it in the same way. Seldom we know that what scares one hides behind a calm countenance.